Stupidly Easy - As anyone who played a Gen 6 game what stuck out the most to them and odds are that the first or second thing they'll say is that these games are way too easy. The Exp Share gets a lot of flack for this, but even without it the game is just stupidly easy. Like, in Gen 4 I would often be 10-20 levels lower than my opponents, but in Gen 6 you have to go out of your way to not be overlevelled. Apparently the difficulty was scaled down because there were worries about casual gamers and mobile games at the time, but the difficulty of these games makes them boring to replay. I Don't Like Mega Evolutions - This one is YMMV because I know some people really love their megas, but I really don't like them. They're definitely a flashy new feature and probably the most notable new addition to Gen 6, but I really dislike them because I feel like they limit your options. I mean, there are a very limited selection of Megas and if you want to run, say, a Charizard, Aerodactyl or a Lucario, then why wouldn't you throw a mega stone onto them? You're basically gimping yourself if you don't. Plus if you see one of these Pokemon on the other team then you know that there's a very good chance they're running a mega evolution, limiting the potential variety. Or, for that matter, if you're running a competitive team then you're probably going to need a mega on your team (unless you're running a very particular strategy) because they are so much stronger than any regular Pokemon, meaning that your pool of potential Pokemon is down to one of the 46 Pokemon which can mega evolve, and the Pokemon who missed out are just even more outclassed than ever. I get that some people will argue that megas make older Pokemon more viable by giving them these kinds of power boosts, but I feel like there are better ways to combat that kind of power creep than this. Plus it's not like all megas are created equally, so we're ultimately just continuing the same issue of having some Pokemon be significantly more viable than others. Lack of Identity - After the clear attempts to reboot the franchise in Gen 5, Gen 6 plays things much safer. 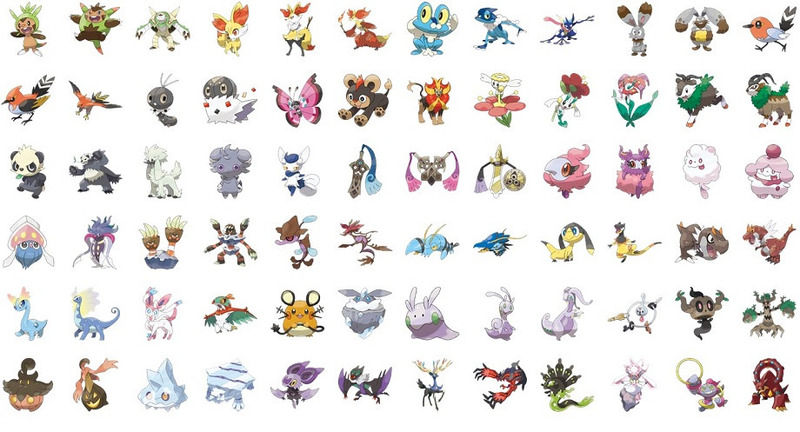 X and Y feature a ton of nostalgia-baiting, bringing back lots of old Pokemon at the expense of new ones. In fact, this generation introduced the fewest new Pokemon, at 72 (which is likely down to resources going into the new graphics engine and all the new mega evolutions, which just highlighted the nostalgia-focus even further). On the one hand, this helped to bring back people like me who hadn't played a Pokemon game since Gen 2 and get them up to speed on the games I'd missed. On the other hand, it just really makes Gen 6 itself fairly unmemorable. The fact that Pokemon Z never happened also probably affected this, as the traditional "third version" of each generation is almost always better. Weak Story - After the strong story of Gen 5 and the intimidating villains in Gen 4, you can't help but feel that Gen 6's story is a bit of a letdown. The story mostly feels like a "power of friendship" tale, juggling 4 different "rival" characters who are more akin to friends on a sightseeing trip. Team Flare are stylish, but much closer to the goofy incompetence of Team Aqua and Team Magma rather than a true threat. Lysandre is actually a pretty interesting primary villain with a cool motivation, but he doesn't get enough to do and shows up a bit too late to make a major impression. Plus none of the gym leaders or elite four stand out either, which just further compounds how forgettable much of X and Y can be. HMs Are Still a Thing - Why, 6 generations in, are HMs still an element of these games!? I mean, in X and Y they at least scaled this back down to only 5 essential HMs, but the Gen 3 remakes are still chained to 7 HMs. It's just so frustrating that these are still a thing, even when Game Freak clearly can see that they're a problem and scale them back as much as they can. 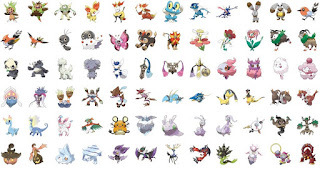 Origin Marking System - Starting in Gen 6, only Pokemon caught or bred in games released during or after Gen 6 could be used in battles using competitive rulesets (eg, most online battles or the battle spot). The result of this is that legacy Pokemon which you could have been using since Gen 3 were suddenly unusable in competitive play, meaning that you'd have to rebreed them (if possible). I wonder if this might have been introduced due to the rampant hacking in Gen 5, but the result is enough to make me hesitant to go back to earlier games because I know that I won't be able to use any of the Pokemon that I use and get attached to again going forward. Tune in soon for the next entry where I'll cover the newest entries in the series, Generation 7.